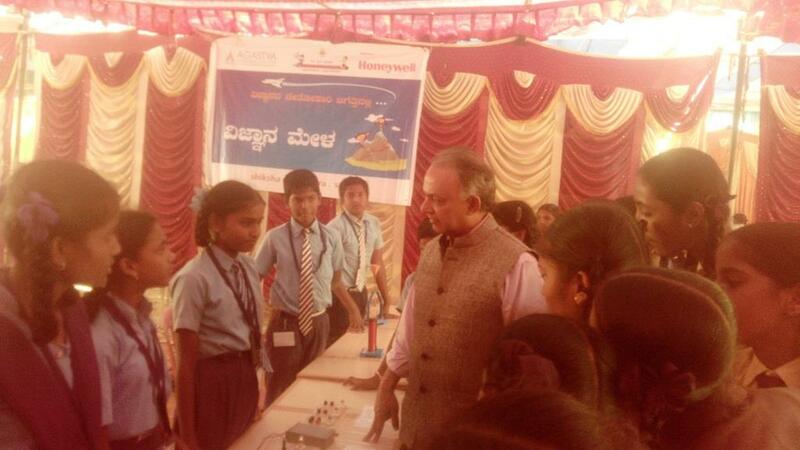 To commemorate National Science Day, Agastya International Foundation organized a three-day mega science fair at Government Model Higher Primary (GMHP) School, Jakkur Village in Bengaluru from February 26 – 28, 2017. The students from GMHP School displayed science models to explain complex scientific concepts through simple experiments – learnt as part of the Honeywell Science Experience program at the school. Through its uniquely scalable, hands-on teaching-learning method, the program aims to foster child and teacher participation in experiential learning, and boost science education. To promote science education among other children, the students from GMHP School demonstrated close to 100 scientific phenomena, including solar and lunar eclipse, seasonal changes, and concepts such as pressure and volume relationship, and the formation of insulin with protein chains, at the mega science fair. More than 3,000 children, including students from nearby schools, attended the science fair and experienced the Honeywell Science Experience center and mobile science lab at the school. “Peer-to-peer learning instills confidence, improves communication, and helps students understand complex scientific methods in a more agile way. As we run one of the largest hands-on science education programs for economically disadvantaged students, it becomes crucial for us to introduce unique ways to nurture creativity and boost confidence. We hope that peer-to-peer teachers will catalyze a movement across India.” said, Ramji Raghavan, Founder and Chairman, Agastya. 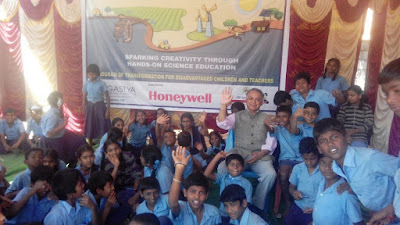 “Support from partners like Honeywell India will continue to be critical to foster a new generation of science professionals in the country,” he explained. 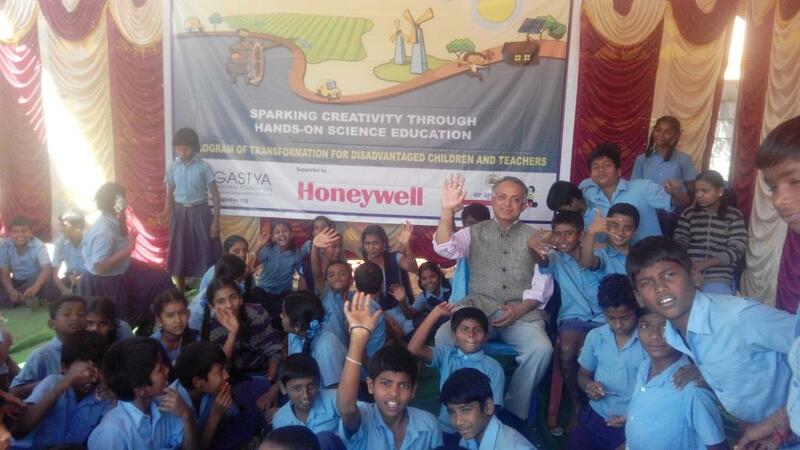 Launched in August 2016, the Honeywell Science Experience reaches more than 48,000 students and 600 teachers in Gurgaon, Delhi, and Bangalore through 11 unique experiential science centres, 10 mobile labs, and 1,100 student mentors.